Cardiff City make the long journey to North Wales on Tuesday to face Bangor City at Farrar Rd. If you are planning to travel then directions on where to find the ground and for the last Bangor City news visit the Bangor website, click here. For Bangor City it's a huge game (see preview below), for Cardiff City I would expect a team of reserve / youth players to run out for the 1/4 final clash. In the past City have tried to pull out of this compeition unless a European place was up for grabs. With £100,000 on offer for the winners of the competition then all competing clubs should have a serious interest. 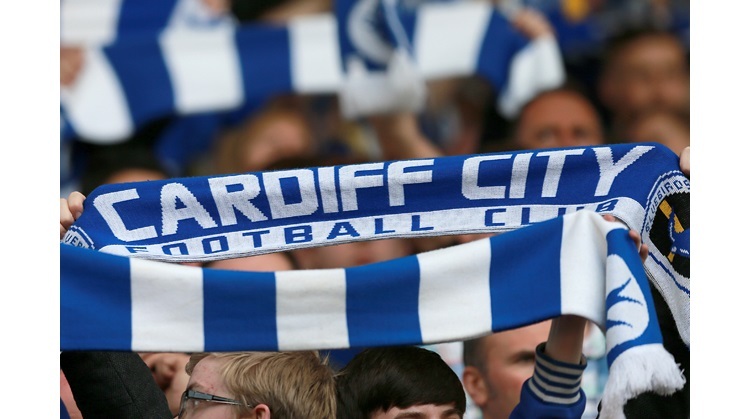 Cardiff City must not start with the attitude that they only have to turn up to win. The losers at this stage received £15,000 each while if you are knocked out in the semi final you pocket £25,000. A place in the final guarantees £50,000 to the losing team. Wrexham have already made it into the semi finals after beating Haverfordwest last week. The other two 1/4 finals are being played on Wednesday this week, TNS v Rhyl and Caernarfon v Swansea. Tomorrows game against Bangor is not being televised live but you can see highlights on Wednesday on BBC 2 Wales and BBC 2W. The competitions leading scorer at the moment is Bangor City's Owain Tudor Jones. Our North Walian correspondent Eric the Red gives us this insight into Bangor City. This is a good time to be playing Bangor. Before Christmas' Peter Davenport's side were playing exciting football that saw them score 61 goals in 21 games. Always likely to concede due to their adventurous style, the club still had realistic Championship ambitions before Christmas brought it's usual share of bad weather and heavy pitches to the Welsh Premiership. Shocking defeats to bottom clubs Llanelli and Caernarfon dented confidence badly, and City still haven't recovered from that 1-5 defeat at Stebonheath Park. Last weekend saw a workmanlike win over strugglers Afan Lido. The fallout from the poor Christmas has included former Man Utd player Simon Davies, LoW Player of the Year in 2002/03, but a player who has struggled to produce consistently in this year's campaign. He's gone to rivals and title contender's Rhyl. Other Manchester United connections include manager Davenport and the evergreen Clayton Blackmore, who at 40 is still one of the League's top players. Of course he lacks pace these days, but his ball play is second to none, and Cardiff would do well to respect his dead ball work. There are Wales U21 players in Bangor's line up. Les Davies is an attacking left-sided midfielder who continues to astonish with his dancing-elephant trickery. He's struggled for form recently but is one of several Bangor players who can cause Cardiff problems if things go well. In central midfield, the tall Owain Tudur Jones has been training with Aston Villa, and is a neat creative player who would prosper on better pitches. Former Wrexham player Paul Roberts is the season's top scorer, but is yet another who has struggled in recent games. If this game had been played before Christmas when Bangor were flying and Cardiff struggling then I might even have made the home side favourites. But unless Bangor can really turn it on for the big game, then a decent Cardiff reserve side should win it. But make no mistake, this is a huge game for the North Walians. A win would earn the club a third of their total year's playing budget. Already out of the Championship hunt, and with a tough tie away to TNS in the Welsh Cup, this might be the best chance for Bangor to turn round a season that has gone awry. Whatever happens, Cardiff will be guaranteed a friendly welcome here, with many Bluebird followers throughout the region boosting attendance in what may well be the last chance to catch the club at Farrar Road . A move to a new stadium at Nantporth should happen in the next couple of years. Sound familiar ?